"This morning Jeremy Hatt, Andrew Keaveney, David Hallett and I spent about three hours birding park. Highlights: 1 Forester's Tern, 12 Yellow-rumped Warbers, 40 White-throated Sparrows, 10 Ruby-crowned Kinglets, and smaller numbers of Field Sparrow, Hermit Thrush, Yellow-belled Sapsucker, Eastern Towhee, Fox Sparrow, Northern Rough-winged Swallow and Brown Thrasher. 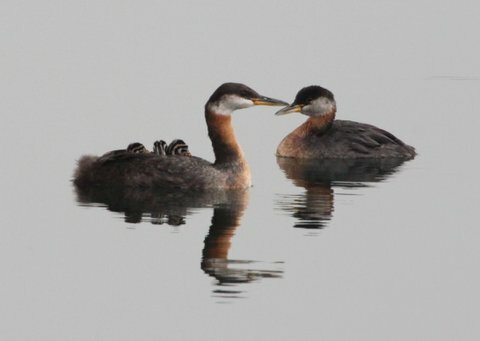 There are still about 150 Red-necked Grebes, 15 Horned Grebes and a couple of Pied-billed Grebes in the area." The Ontario Field Ornithologists operates an electronic mailing listserv called ONTBIRDS that notifies birders of interesting Ontario sightings. The posting from Wayne Renaud, a local birder, shown above gives details about birds recently seen in Sam Smith Park. ONTBIRDS is a good way to keep on top of what's being seen in our park as migration begins to accelerate as well as keep up with other interesting Ontario sightings. On average, there are about 6 - 8 postings a day and Sam Smith Park is frequently one of them. Wayne is a regular reporter of Sam Smith birds during migration. To subscribe, you need to send an email to birdalert-request@ontbirds.ca with subscribe in the subject header. You will have to confirm any changes you make by replying to an acknowledging email. Unsubscribing is very easy to do. 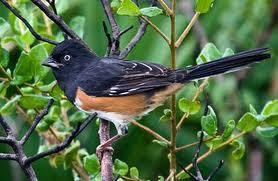 If you are a knowledgeable birder, you may even want to post sightings yourself.